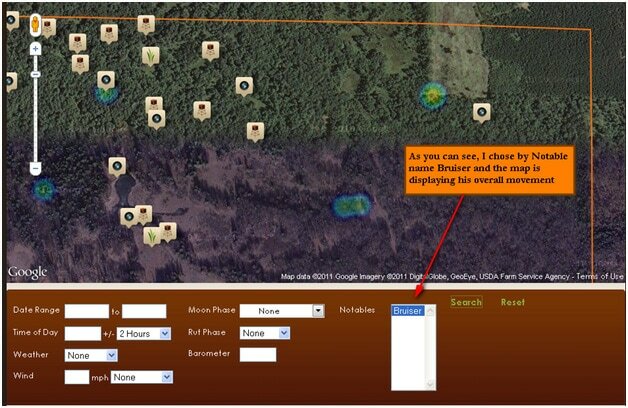 Another feature of the Camp Map is tracking Notable Deer movement. Let’s say you have a huge buck you call Bruiser that you have been tracking over the past 2 years. If you had entered your sightings right you would have tagged him on every sighting where he had been seen. Now you can use the queries to see when he travels the most. Simply click on the Notable you want to track and set your parameters accordingly. You can just see all movement by that deer by leaving the parameters blank and click search.